Small 4 Style: Trade In, Trade Up Your Denim at Belk 8/1-8/3! 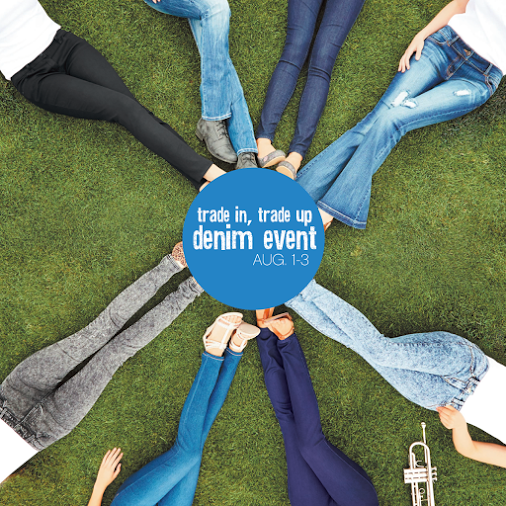 Trade In, Trade Up Your Denim at Belk 8/1-8/3! Belk is giving us the opportunity to give back in style this weekend. Starting today 8/1 through Sunday 8/3, donate one or more pairs of gently used jeans and get a $5 coupon toward a new pair of junior's jeans. Sounds like a sweet deal to me. The donated jeans will go to United Way and distributed to local students in need. The new Belk flagship at the Galleria Dallas is a favorite among Dallasites. Let's trade in and trade up our denim! Don't live in Dallas? No problem because all Belk stores nationwide are participating. Contest Alert - Concert Style Sweeps! In honor of back to school, Belk is also giving shoppers a chance to win a trip for 4 to a Live Nation concert, cash, and a big Belk gift card! Enter for your chance before the sweepstakes ends on September 15!